I know Sheila may not be posting this, but in honor of her and my love for organization, I am going to keep on with the monday reading posts. I look forward to looking at these, so I am going to keep on for now. Another crazy week both on the work and home front, so another not great reading, but the weekend was better! Some sunshine and walks with an audio book! I recently read 'I Was Here'. It wasn't as sad as I was worried it would be and I quite enjoyed it! Nice list of reads. Enjoy. I'm excited to start reading The Liar too. It should download to my Kindle tonight. Happy reading! 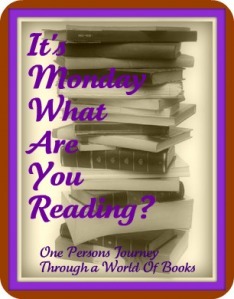 Like you I am keeping up with my Monday posts as it's a great way to organise my week.